I thought theoretically the U.S. could be a democracy (because people have a say in the daily workings of the government) and an oligarchy ( the president, the Supreme Court, etc... are the only ones who have any actual power, meaning making all the big decisions). Is this true? All modern democracies are representative; it's for purely pragmatic reasons hard to see how a large community could govern itself directly by the people without introducing representative intermediaries. The really interesting question for me is whether the United States, though formally a democratic republic, are factually ruled by a relatively small elite connected through family and business relations. It is surprising to a foreigner to see political family dynasties like the Kennedys or Bushes or Clintons (and now Trumps, for that matter). And one does not need to subscribe to conspiracy theories to recognize that the enormous wealth concentrated in the hands of a small number of billionaires results in an enormous political influence. The system of campaign financing through private donations appears to outsiders as a thinly veiled form of buying politicians which provides a direct conduit from money to power. How large is the number of people "in power" through family or money? How well are the democratic and legal institutions protected against illegitimate influence? How well do the media work? How independent are they? The last two points determine the crucial question: Can the people form an opinion and express their interests in elections independently of and against the efforts of the elites in politics and media? 1 But even the public opinion swing towards defiance is developing under the ongoing influence of the elites. For example, Trump's rogue image may be mostly in style rather than substance, considering his wealth and politics benefiting the wealthy. The effect is that the economic elites have a factual collaborator at the helm, but one who is perceived as their rogue opponent. This outcome may be pure serendipity, but it's hard to see how it could be any better. The change in public discourse towards social media is ambivalent as well. Obviously a means to communicate directly with each other is prima facie a boost for a democratic discourse. On the other hand it clearly results in an abundance of false information, a loss in coherence in public opinion — which is not in itself a bad thing but makes the formation of echo chambers more likely — and an increasing volatility in the public discourse: The news cycle is shorter, what is swept into the foreground is less predictable, and the ebb and flow of the discourse seems stronger than with traditional media. Disclaimer: I'm not a political scientist or even that well versed in terminology. I'm also not from the USA. As far as I understand the definition of oligarchy, it requires the small group of people and people they select to be the only people able to wield power, not that only a small group of people holds power at a single point in time. That means that the test to see if a country is an oligarchy is to check whether someone unconnected the current political circle can become a person of power. Could Bob from next door become the president? In the USA, arguably, yes, which would make the USA not an oligarchy. While, in my personal outside opinion, the USA is moving towards an oligarchy where only people with enough money and/or connections to the current group of politicians can become persons of power, it is not yet the case that someone from the outside can't rise up in the political ranks. As for democracy, it only defines that the leader has to be decided by vote of all eligible people. A country can be a democracy, even if 90% of the population aren't eligible to vote. For example, many democratic countries in history excluded women, but were still considered democracies. Whether you define them as true democracies or not can be argued, but it is essentially a spectrum where one country can be more democratic than another. 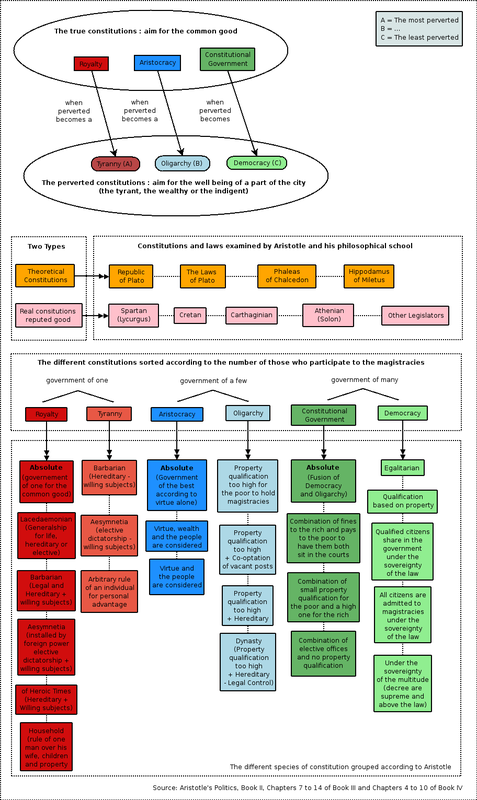 Where on the spectrum the USA currently is can also be argued, considering the two party system, electoral college, gerrymandering and so on which make the value of a single vote vary depending on a lot of factors. However, it is definitely on that spectrum and so the USA is a democratic country. My conclusion in summary: Technically, the USA is a democratic country and not an oligarchy, but it would be possible for it to be both if eligible people can vote, but the people they can vote on were restricted to a limited group of people. If you assert that having a small number of people actually exercising the power makes you an oligarchy, then all countries are oligarchies. It’s simply not a useful definition, because it excludes nothing. All democratic countries have executives, legislatures and judiciaries. What makes an oligarchy is if the power groups are self-perpetuating rather than being either elected or appointed by people who were elected (or by people appointed by people appointed by people who were elected — the chain can get arbitrarily long if it ends with an election). Both oligarchy and democracy are a sliding scale; you can talk about a country being "fairly democratic" or "very democratic". Iran is more democratic than Saudi Arabia, and America is more democratic than Iran. The same goes for oligarchy. That means that the test to see if a country is an oligarchy is to check whether someone unconnected the current political circle can become a person of power. If you enter politics at a young age and then work your way up the hierarchy of one of the two main parties. This is because it is the parties who select candidates for the Presidency. There are a lot of people who would vote for Bob next door if he were the official Republican or Democratic candidate, but very few who would vote for him as an independent. The biggest step in becoming President is not winning the election, it is winning the support of the king-makers in one of the two main parties. The only person in recent times to become President without doing so is Donald Trump (yes, he did gain the candidacy, but he did so in the teeth of opposition from the Republican party management). Rich people get to vote with money as well as at the ballot box. If you are rich and want a law passed, you can go and lobby for it with a promise of campaign contributions. Your money doesn't guarantee success, but it does make a lot more likely than if Bob from next door has the same idea. Gerrymandered districts mean that some voters have no real prospect of seeing their favoured cause or candidate winning because they have been deliberately grouped with a lot of people who disagree with them. The Senate gives equal weight to states regardless of their populations. So California (12%) has the same influence in the Senate as Wyoming (0.18%). So a Wyoming voter has 67 times as much influence in the US senate as a Californian voter. The Republican form of government in the US is designed to limit will of the people. For instance it is not legal to ban a religion or imprison people without trial no matter how many people vote to do so (not that this has always stopped the Government in the past). So on balance I would have to describe the US as very oligarchic and fairly democratic. No, the United States Federal Government is not an Oligarchy. It was founded, designed, and intended to be a Republic. It is on the pathway of transitioning from a Republic to a Representative Democracy. At its heart, the United States is built with firm protections for the Rule of Law, recognizing that government derives its power from the populace. The people vote for elected officials, which are intended to represent their interests. An oligarchy is the condition where the power structure rests with a small group of people. Attempts to paint the the US Federal government as such because the recent Presidential election wasn't decided by the national popular vote, or that Republicans control all three branches, are intellectually disingenuous. Further, they highlight a misunderstanding of the republic constructs that persist from the founding. Protections that guaranteed proportional representation for each State in the decision of who would lead the executive branch of the Federal government constructed as a Constitutional Republic were built to ensure the Federal government remained accountable to each state. With the current dispersion of the population, if the Presidency was decided by popular vote, the influence of a few states would greatly exceed the rest. These protections are now described as the Electoral College. In addition to complaining about the Electoral College, there is growing sentiment that the Senate is insufficiently democratic. This is a feature of the system, not a bug. Here, each state has two senators to ensure that each state has equal representation in one half of the Legislative branch of the Federal Government. At inception, the strength of the States influence on the Senate was even greater, because Senators were appointed by the State Legislatures themselves. The 17th Amendment ended this protection to State Power by transforming Senator elections to a popular vote. Technically, No. Practically, Yes (at least partly). Technically not because elections are free and anyone can run for any office within some smaller restrictions (President must be US born, convicts of a felony may not be able to run under some circumstances). Also the judiciary is independent, so opposing candidates cannot easily be excluded from the political race. That means that ultimately the power is with all the people and not with only a subset of it, therefore technically it's not an oligarchy. The used definition of oligarchy is here that the power must rest permanently with a subset of the population. In the US, this is not the case. For example, current President Trump and his predecessor Obama could not be more different in many aspects. However, for all practical reasons, money and access to the right circles can buy some political power in the US, as evident for example by analyzing political decisions over a long time period. This is not a technical thing, voters do not have to vote for the candidate with the largest amount of money behind, but a practical thing. The elected candidates do not have to do what their wealthy supporters want them to do, but they do. It's obviously a grey area to determine where an oligarchy starts for all practical purposes. Q Can the U.S. technically be called an oligarchy and a democracy? According to the classic definitions we encounter the "property qualifications" are too high for the poor to participate in the magistrate. This is even hereditary as most wealth is inherited (cf Trump). That the poor can participate in acclamations (elections) is something different. That makes it an oligarchy. How many members of congress are born poor, how many presidents were born poor, how many judges on the supreme court were born poor? Exactly. A democracy is a perverted form of constitution that the founding fathers were keen to avoid. But even this pervertedness is now not fulfilled as the egalitarian aspect is even on the level of universal health care commonly labeled "communism" in the US. And now we can witness a certain level of dynasty building and an increase in attempts to bring about arbitrary rule of an individual, and even for a personal advantage. That is then properly called a tyranny. If the US wants to become a democracy, then the egalitarian aspects would need some work. Even if this is still disputed, I think that it will probably be a good idea. So technically the USA are an oligarchy as is every other country only using elections instead of sortition. In general I like the answer of LangLangC but he uses some wrong wording. Democracy is not the perverted form. Polybius appears to have coined the term in his 2nd century BC work Histories (6.4.6).1 He uses it to name the "pathological" version of popular rule—in opposition to the good version, which he refers to as democracy. De facto (not de jure) it is Timocracy too. Granted, there is a worrying tend in the US (as in quite a few other countries), for a relatively small, exceptional, class of people to be elected to public office (France's political class is, at high levels, almost exclusively composed of graduates of Ecole Nationale d'Administration). But it is not the same group of people all the time. Witness the Bush => Obama => Trump transitions. There are not groups that like each other and cooperatively arranged for scripted transitions. So, no, I would not say one group consistently controls the country. Look at Trump - he is definitely an outsider to the political elite - even if he is a member of the moneyed elite - and was strongly opposed by traditional, established, Republican politicians in the beginning. The change in power is decided by the voters, which is the halmark of a democracy. Doesn't mean it is a perfect democracy, but it remains well within the definition. It is also important to remember that the very notion of democracy implies the temporary surrender of a certain level decision-making to the elected leaders - if the government wasn't empowered to make decisions (within reason, for a limited time and subject to periodic elections), then it would not be a democracy, but closer to an anarchy. Not the answer you're looking for? Browse other questions tagged democracy political-theory political-system terminology definitions or ask your own question. Is there any difference between demarchy and stochocracy? Why would a politician from a party in power in a democratic country put the blame on the so called “parallel state”?